Unfortunately, this is no longer always possible, because human activities have polluted the seaside in many ways. Maritime transport, industry, tourism, all types of discharges, the list is endless! Certain tourists are at fault, they do not respect the environment, acting as if it is not their responsibility They leave bottles, cans, bags, plastic, paper, cigarette butts, etc on the beach, and other types of waste which are even more dangerous for certain individuals, such as syringes! But tourism can also degrade beaches by turning them to concrete; this is a picture of too many coasts disfigured by frenzied urbanisation, often linked to a lack of facilities for the treatment of waste water, which is simply discharged into the sea and returns to contaminate the beaches (See point 4). The good news is that increasingly sector professionals understand that even the future of their industry depends on their respect for the environment and the implementation of true ecotourism. We often hear of degasification, which is actually an incorrect expression, because it in fact consists of de-sludging. For example, it comes from super-tankers which drain their cisterns in the open sea, it can also come from pleasure or fishing boats which discharge their used oil. 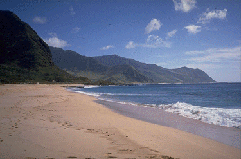 These pollutants land up reaching the beaches, causing serious and frequent contamination. Everyone knows that salmon is an expensive food... This CyberDodo case file will show you that there are many other reasons for us to be interested in it and protect it! Their vision is incredibly acute. One moment gliding majestically, they will swoop down like a flash of lightning to attack their prey. It is easy to understand why humans often choose the eagle as a symbol of power and beauty. Few creatures are able to arouse as much emotion as spiders, albeit for the most part negative. CyberDodo offers you a case file to help you find out more about them, without any danger involved!